Part of what makes Lisp distinctive is that it is designed to evolve. As new abstractions become popular (object-oriented programming, for example), it always turns out to be easy to implement them in Lisp. Like DNA, such a language does not go out of style. ⇒ ((:title "Practical Common Lisp"
An extensive standard provides a rock-solid foundation that you can confidently build upon. You won't be reinventing the same old wheels ten years from now. Functions are first class objects: you can pass them around, store them, call them dynamically. Build your application by composing small, functional building blocks. Build reusable and extensible class hierarchies using the Common Lisp Object System. Design patterns disappear as you adapt the language to your problem domain. Requests per second using Woo, an HTTP server written in pure Common Lisp. 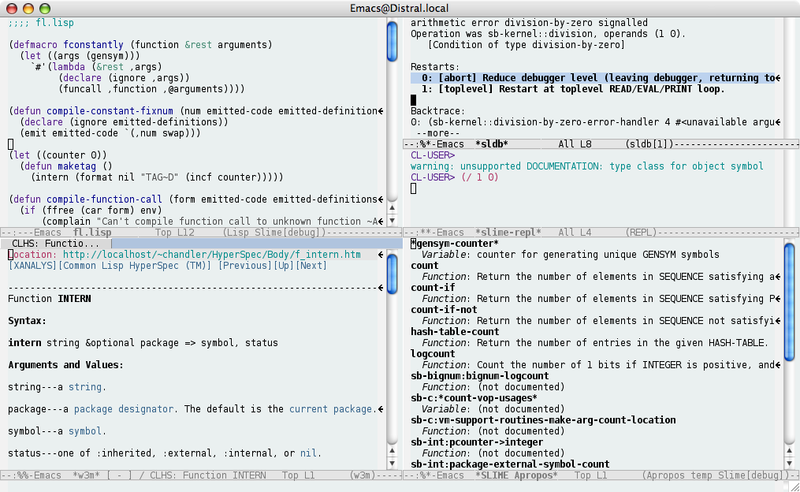 SLIME, an IDE that leverages the power of Common Lisp and the extensibility of Emacs, provides a development environment ahead of anything else. You can leave the write-compile-debug cycle behind. Everything is interactive: try your code on the REPL as you write it, and a powerful debugger lets you inspect trees of live values, or rewind the stack to undo an exception. Grammarly is a grammar checking startup, but it’s far more than a simple spell checker. Its grammar engine, written in Common Lisp, finds instances of incorrect tenses and suggests more precise synonyms for common words. At Grammarly, the foundation of our business, our core grammar engine, is written in Common Lisp. It currently processes more than a thousand sentences per second, is horizontally scalable, and has reliably served in production for almost 3 years. 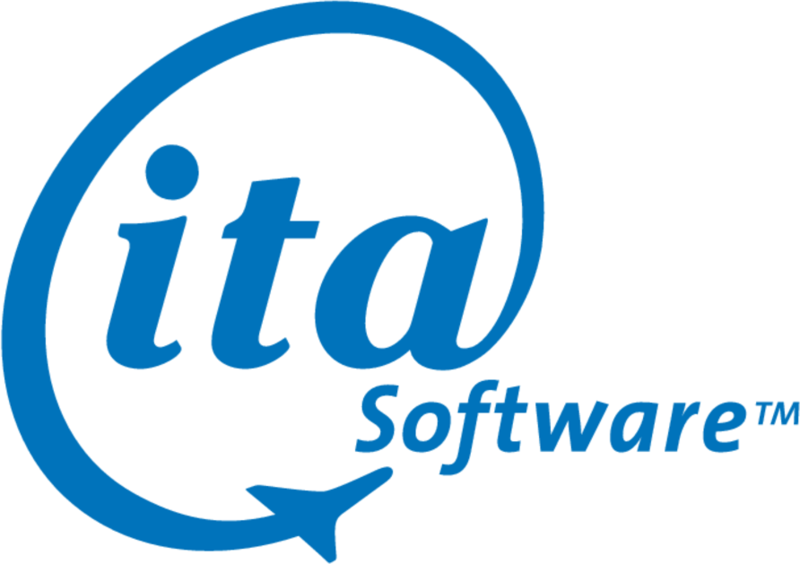 Ita Software (now Google) developed Matrix, the flight search engine. Lisp was the natural language to start with. We needed to write lots of code very quickly; and we needed the higher-level power that only Lisp and Allegro CL provides. Lisp provided us with the ability to write the algorithms that we needed. We can search thousands of pricing and scheduling options in the time it takes the other airline engines to search several hundred. And, thanks to our lisp-based algorithms, we can adapt our questions to become more narrow or broad depending on the situation. SISCOG’s Common Lisp rail scheduling system moves millions of passengers across Europe every day.